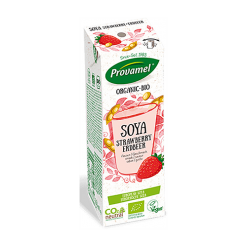 Delicious organic strawberry soya milk. The wonderfully fruity soya strawberry drink entices gourmets, even at breakfast. Without artificial colouring or flavouring, it tastes fantastic. Combined with other fruit, it is a terrific base for a smoothie.